Almost 80% of consumers now use their phones to help them shop. It's time for businesses to seize the opportunities in this new channel. There's a secret weapon that will super-charge your m-commerce performance: reviews, recommendations and social content. We can help you with practical advice on driving multi-channel conversion by fusing mobile and social commerce. 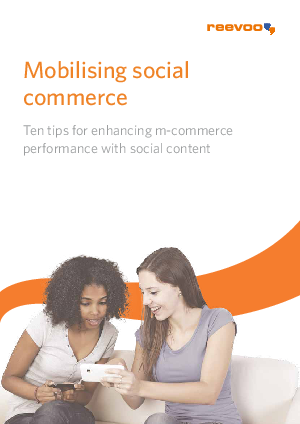 Download Reevoo's best practice guide to combining mobile and social to find out how to maximise your m-commerce results.